The findings, published online in Nature Communications, suggest that the impact on global sea levels from the retreating ice sheet could be less drastic -- or at least more gradual -- than recent computer simulations have indicated. Most people think of gravity as the force that keeps our feet on the ground. But any large body – such as a massive expanse of ice -- exerts a gravitational pull on other bodies, including water. Gomez and co-authors David Pollard of Pennsylvania State University and David Holland of New York University also factor another important variable into their simulations. When an ice sheet retreats, the solid Earth beneath it, freed from the load of the ice, rebounds upward. This rebound occurs in two parts: an elastic component that happens right away, and a viscous component that happens over hundreds to thousands of years. (The Earth's interior -- or mantle -- flows like a fluid but very slowly because it is very viscous). 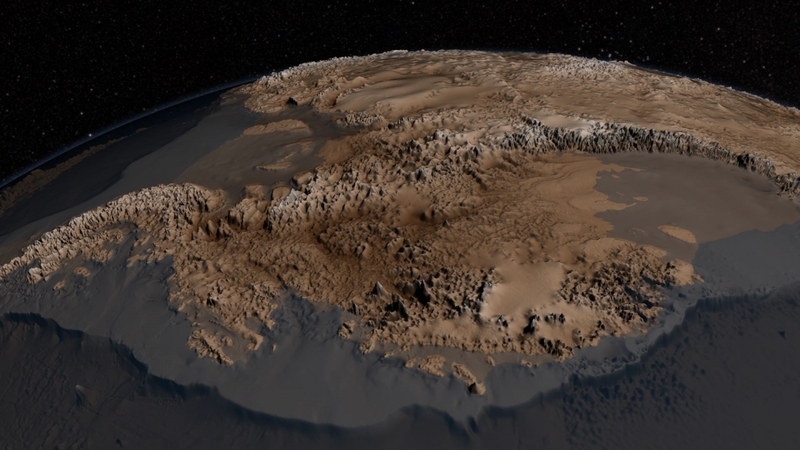 The West Antarctic sits atop a region where the mantle flows more easily than in other parts of the Earth. So the land there will pop up faster than scientists – and their computer models -- would expect based on the average viscosity of the Earth’s mantle. The research was supported by grants from the National Science Foundation and the National Oceanic and Atmospheric Administration.